Heather Tindall needed this job. It didn't matter how rude her boss was, that he didn't want her, or that none of the previous temps had lasted even one day as Curtis Frye's personal assistant. She would prove that she could do the job, and excel. Curtis quickly realized Heather's worth at his company, and hired her. What he couldn't comprehend at first was how well she handled not only the professional aspect of his life, but the personal as well. Not until she started protecting him from the paparazzi due to a recent article. Then, he realized just how perfect Heather is, and decided to propose marriage, but for practical matters. She could help turn the gossip from him, and he could help her financially. It was a perfect solution. Except to Heather, who had already fallen in love with her boss. 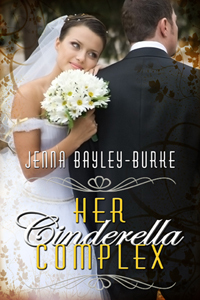 Her Cinderella Complex is a sweet romance about a woman who is dreaming of happily ever after with a man who views their relationship as yet another business transaction. I enjoyed watching the development of their relationship. However, I also thought at times things were a little too dramatic, and the overall story a bit long.